In 2014, the competition in the color TV market was further strengthened. Various companies are trying to introduce more distinctive products through in-depth exploration of consumer demand. 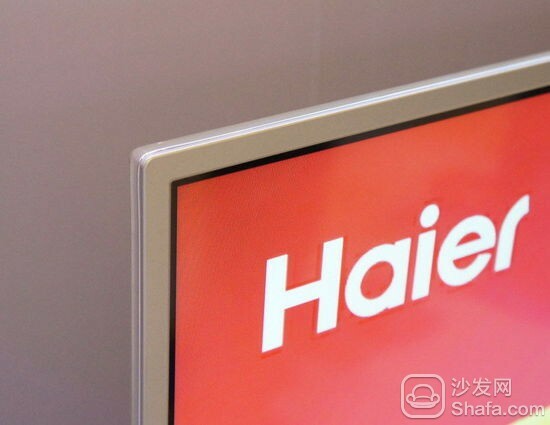 Yesterday, Haier announced that it has jointly released a TV AL88 with Alibaba's home digital entertainment service. The hardware of this TV is mainly led by Haier, which specializes in producing TV sets. The systems and applications are built by a more professional Internet company, Ali, and Guomei is also used as an O2O service partner. Backed by Ali, the e-commerce giant, its main online shopping function is predictable. Users of this TV can get 1000-3000 yuan worth of voucher after booting, which can be used for exclusive VIP shopping mall consumption, extended warranty, and high-definition package. In order to solve the problem of poor input text experience when searching for goods in traditional remote control, this TV highlights the experience of voice technology in online shopping applications. From the perspective of the conference site, this TV has an understanding of consumer voice and semantics. Has a very high accuracy, interpersonal communication is very smooth. In terms of picture quality, Haier said that it uses the latest 4K widescreen engine technology with â€œtop-to-dual HD technology,â€ and the viewing effect is better than traditional 4K TV when watching 4K signals. In terms of content, this new product can provide a variety of high-definition online video resources, including â€œBlu-ray Private Custom Cinema,â€ through cooperation with Hwasa. It is expected that 3-5 Blu-ray movies with a code rate of up to 10 Mbps will be launched each week. Cache-to-local playback is also supported to solve the problem of easy caching when the network bandwidth is insufficient. Ali launched the "Alibaba Family Digital Entertainment Service" based on Lynx's box at the beginning of this year. In this Haier Ali TV, Alibaba family digital entertainment services are also completely built, including the cloud album and Ali TV. Helpers, games (including cloud-based versions of large games that previously required to be run on mainframes), home education, voice search, and other unique services. Although the proportion of e-commerce channels in home appliance sales continues to increase, offline channels will still be the mainstream channel in 2015. The relevant agencies predict that home appliance stores will still occupy 70-80% of the market in 2015, thus strengthening B2C sales. How to strengthen the offline experience and sales at the same time of the channel is also a consideration of this new product. The conference Shanghai Er Ali announced the selection of Gome as its offline partner. Utilizing Gome's more than 1,000 stores across the country, consumers will be able to experience the characteristics of this TV. After that, they can freely choose to purchase offline or online. This O2O approach will not only effectively improve the exposure of the product. Degree, but also can effectively solve the shortcomings of e-commerce shopping lack of actual product experience, may become a new trend in the future home appliance sales. 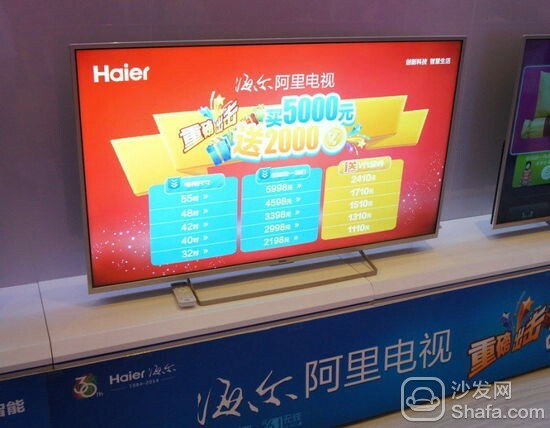 It is reported that Haier has set a target for sales of 4 million units in 2015 for this TV, and according to relevant agencies, the total sales volume of TV sets in China will reach 40 million units in 2015.